Cry out loud, mourn your heart out, Your Hero is buried in the flood of sorrow. Come into mind, love onto your Land, That your Icon has craved for you. 'Cos I don't want to shed wild tears, In the deep wilderness of the Chin epic. I am going to remember Pu Son respectfully, and miss him dearly. Sep ding bawl ding.. tampi omlai..
Hun lopi in mual nong liamsan maw..
Nong lamlak sa..Nong thu vaikhakte..na mabante..
Zomi Momno khangthakte in..maciang tun dong na phungphuh nung.. The Zomi Re-unification Organization is deeply shocked and filled with grief at the untimely demise of Pu Dr. Vum Son Suantak. His death is a great lose to the Zomi as his absences create a vacuum in the struggle for democracy and federalism in Burma and the Zomi re-unification. He is one of the prolific writer, thinker, academician and researcher among the Zo people. During his short span of life, he has enormously contributed in many fields at his own capacity towards the Zomi movement. We share the sorrow and grief of his near and dear ones. We pray for the peaceful repose of the departed soul in heavenly abode. It is with great sadness that we learn our people have lost a dedicated and visionary leader. Dr. Vumson Suatak was an accomplished academician and patriotic leader whose strong passion and lifelong dedication to the freedom of his people is admired and respected by all. Dr. Vumson Suantak is the author of Zo History, an acclaimed historical book about Chin people and several other articles and scholarly papers on the Chin and Burma’s political issues. He was a founding member of the Chin Forum and a leading member of its Working Group II, charged with the drafting of the future Constitution of Chinland. He was a tireless campaigner and strong voice who fought for the rights of Chin people at international and regional levels. Dr. Vumson Suantak will be remembered for his enduring visions and dreams for the reunification of ‘Zo’/Chin indigenous groups whose people are scattered throughout the tri-area of India, Burma and Bangladesh. In his last interview with the Chinland Guardian News Group on March 16, 2005, Dr. Vumson Suantak, a leading member of the Zo Reunification Organization, said the ‘reunification’ of the Chin people was essential for the long term preservation their distinct cultures from being assimilated by others. Dr. Vumson’s sudden death is an unfortunate national loss, which will leave a void in the ongoing Chin people’s struggle for human rights, democracy and self-determination. We send our deepest condolences to the family and friends of Dr. Vumson Suantak. The Kuki International Forum (KIF) deeply mourns the sudden demise of Dr. Vumson at Laurel Hospital in Maryland State in the United States of America on September 19, 2005. He is the author of "ZO History" and Vice-President of Zo-Reunification Organization (ZORO). He is patriotic, nationalist, and widely known for his scholastic research and writings by many among the Chin-Kuki-Mizo people around the world. He is also remembered to be instrumental in the hope of bringing together this diverse population under a common nomenclature. He is survived by his two daughters, living in Germany, and lone brother, Ngo Cin Thawng Suantak, who lives in Maryland State. His death is a great loss to our nation. Pu Vum Son’s departure that left us feeble after having spent the last moment of all of his activities with us at Zomi Innkuan USA Conference recently. Pu Vum Son will be remembered especially for his challenging proposals and encouraging speeches delivered in our Conference held in Tulsa, Oklahoma; August 2005. As we the Zomi Innkuan USA mourn for his departure, we give him a heroic salute in honor of his effort he made for the people of Zomi. We extend our condolence to his relatives and those who are mourned in this time of sorrow. 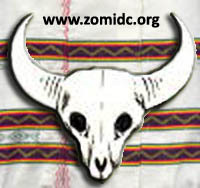 Zomi Innkuan Oklahoma, Tulsa, OK.
Zomi Innkuan DC, Baltimore, MD. Appalachian Zomi Innkuan, Louisville, KY.
Florida Zomi Innkuan, Davie, FL. Zomi Innkuan Portland, Portland, OR. 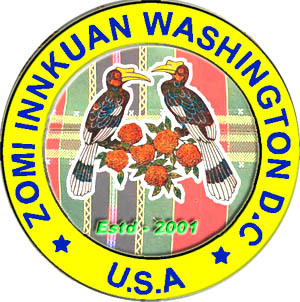 Zomi Innkuan DC, Washington DC. Dated: : September 22, 2005, Tulsa, OK. This is what I could only say to my old good friend VumSon, but he would not anymore hear my sincere words of affection. He suddenly left his dear ones and us forever in Maryland/USA on Monday, Sept. 19 2005 at the age of 68. I do deeply grieve over the sudden loss of my old good friend. Yes, of course we were old good friends. We had studied almost in the same period of time at the Rangoon University, he Geology and I Chemistry, graduating in the same year. We were eye-witness and veterans of the 7th July 1962 Students massacre committed by the then dictatorial Ne Win regime. After having lost contact for a couple of years, we unexpectedly met again in former East Germany in 1965, where he specialized Advanced Geology and I Technical Chemistry. We came back to Burma after our further studies about the same period in 1971. He was accompanied by his Germany family and so did I. Our families together with our children used to meet each other mostly in Rangoon during the Easter holidays. He left Burma with his family in 1975(?) for the US and so did I for Germany in 1977. Since then we kept our contact although it was not so regularly. We were one of the co-founders of the CRDB, Committee for Restoration of Democracy in Burma around 1986-7, he in the US and I in Germany. CRDB was then one of the rare organisations, if not the only one, that fought against the military dictatorship in Burma. He focussed especially on the liberation of the Zo (Chin) Land and its people from the Burmese military dictatorship. I do share his noble cause with him. I visited him at least five times in the US. We also used to meet in several conferences in which we discussed pros and cons in the struggle for democracy, human dignity and freedom of all people in Burma. I met him for the last time at the Forum of Burmese in Europe, which was held in Frankfurt in December 2004, to which he was invited as our Forum’s guest of honour. Now, the Zo people of Burma lost one of their outspoken and longsighted leaders so as I missed my old good friend forever. He would certainly be alive in my memory. I would like to express my deep condolence to his remaining dear and loved ones, especially to Bianca and Lianna. May he rest in peace forever. The Zomi National Congress (Liberated Area) is deeply shocked and mourns the sudden demise of our guiding star Pu Vumson Suantak who was the national icon and patriotic hero of Zo/Chin people. This is an inexpressible loss for our people as no one can afford to struggle for human rights, democracy, self determination and re-unification of the Zo/Chin people like him. His name and life longed struggle will remain inscribed in the heart of the Zo People, and will recorded in the history of the Zo people. We, the Zo people assured to his departed soul that we will continue his struggle according to his past guidance, advices and encouragements. We send our deepest condolences to his family and relatives who are in USA, Europe, India and Burma. May Pu Son rest in peace. The CHIN FORUM and its Management Body extends its deepest condolences to the bereaved families of Pu Dr. Vumson Suantak, who has untimely and unexpectedly passed away on the 19th. September 2005 in Maryland, USA. Pu Dr. Vumson received his Ph.D. (Doctor of Natural Science) from German Democratic Republic during his youthful days in 1969 and is survived by two daughters and two grand children at the time of his sudden demise. He was one of the founders of the Ottawa based CHIN FORUM and was the Convener of Education Working Group (WG II) and Co-convener of the Constitution Drafting Working Group (WG I). Under his leadership, one of the FORUM's programs known as "English Project ” was successfully launched. The FORUM's programme for drafting constitution for the future Chinland attracted many interested participants from all over Chin State encompassing people from each and every tribe & region. Eventually after series of seminars, the Chinland Constitution 4th Initial Draft was successfully published and widely distributed . The Supporting Committee for the State Constitutions (SCSCS) has also distributed the said Initial Draft to all State Constitution Drafting Committees of other ethnic States to be studied as a model for State Constitution Drafting Process of the future Union of Burma. He represented the CHIN FORUM in several Burma-related seminars and conferences. His sudden departure is a great loss for the CHIN FORUM as well as the people of Chinland. His sacrifices and valuable contributions for the cause of democracy and freedom for Chinland and Burma will be remembered by many generations to come. In addition to English, German and Burmese languages, he was fluent in three major dialects of the Chin language. He was widely respected in Mizoram, Manipur and the Chin State as one of the well known Chin politicians and intellectuals. The people in Manipur, Mizoram, Nagaland and Hrangkhawls of Tripura in India, and the Chin State and Naga Hills in Burma, the Bawm and Lushai in Chittagong Hills Tract in Bangladesh are to him people of much closed affinities. We all know him as a humble and generous man noteworthy of his admirable characters in that he was never reluctant to lend his helping hands to whosoever that had sought his assistance. His absence in our Chin community of different localities will leave a significant vacuum for a long time to come. Pu Dr. Vumson will be missed by all relatives, friends and all people who know him. Dr. Vumson, nasiam sinna gam Germany pan in Zomi vontawi tengin a nunung pen zahtakna kongpia uh hi. Na minam Zomite adingin nahoih tampi nasepte Zomite in manggilh lo in Zomite’ tangthu ah kigen den ding hi. Na leipumpi a bei hang na min bei lo in Zomite’ khangtampi ah ki lolo lai ding hi. Dr. Vumson hong nutsiatna hanga adah akap, a lunggim mi khempeuh ih biak Topa khasiangtho in hong hehnem ciat ta hen! THE ZOMI WORLD MISSES THE APOSTLE OF ZOMI RE-UNIFICATION MOVEMENT AT THE UNTIMELY DEMISE OF DR. VUMSON SUANTAK ! MAY GOD BLESS THE ZOMI WORLD LEADERS TO CONTINUE THE UNFINISHED TASK OF LATE DR.VUMSON ! MAY GOD HELP THE BEREAVED FAMILY MEMBERS OF LATE DR.VUMSON TO FACE THIS CHALLENGING WORLD TO CARRIED THE TORCH OF ZOMI RE-UNIFICATION MOVEMENT IN THE WORLD ! (3) PRESIDENT, LOK JANSHAKTI PARTY, MANIPUR STATE UNIT. The Chin National Front is shocked and saddened by the sudden and untimely demise of Dr. Vumson Suantak, a great lost to the Chin people. Dr. Vumson was one of the great Chin Intellectuals. He was dependable, admired and greatly respected by the Chin people. All his selfless efforts for the Chin people – social and politics – in national and international levels will be mark with the highest estimation in Chin History. In time of lose and in the midst of pain and sorrow the Chin National Front mourn the dead of Dr. Vumson and convey its deepest sympathy and condolence to his daughters and relatives. The Chin National Front, Regional Committees – Canada & USA is profoundly saddened by the sudden and untimely demise of Dr. Vumson Suantak. Dr. Vumson Suantak was one of the Chin national treasures, and we all have admired for his commitment to his values and beliefs, his sense of humors and courage, his communication skills and his collegial persona. The life and achievements of Dr. Vumson Suantak will live forever in the history of the Chin people. We, the Chin National Front, Regional Committees - Canada and USA would like to extend our sincere condolences to his remaining dear and loved ones. The Chin Refugee Committee is deeply saddened by the sudden death of Dr. Vumsun Suantak. Dr. Vumsun Suantak visited the Chin Refugee Centre in 2003 and gave valuable advice to members of the Chin Refugee Committee and vastly advised on the need of education among the Chin people both in Burma and outside of Burma. Dr. Vumsun Suantak is a true academician and capable leader for the Chin national development. His tireless effort for the Chin people development will remain inscribed in the hearts of all the Chin people for all the rest of days to come. Even though we are physically departed for now, our love and bond within the brotherhood of Chin will remain forever intact. Pu Dr. Vum Son Suantak in September 19,2005, nitak lam nai 2:00 PM hun in USA gam Washington D.C khuapi ah a it mahmah laigui zom sanggam te leh Zomi te nusia in a tawntung mun ding zuanin hong paisan ta ahih manin a innkuanpihte leh tanau te tawh ki bangin Zomi Literature Institute (ZOLITE) in dahpihna ka pulak uh hi. Pu Dr. Vum Son Suantak in Zomi leh Zogam khantohna dingin pilna siamna, neih leh lam, tha leh zung siit hetlo in na sem den mi thupi leh a zahtak huai makai khat a hihi. A ma nasepna hangin i Zomi leh Zogam in minam dang te tawh liangko kikimna dingin leitung paizia leh kalsuan zia te ah lampi hong lak hi. I Zomi te khantohna leh minam itna tawh kisain i khuamuhna kong hong honsak pa a hihi. Pu Dr. Vum Son Suantak in Zomi namte khantohna ding lampi tuamtuam tawh a hanciam na ah September 21,2004 kum a kiphut khia Zomi Literature Institute (ZOLITE) ah pawlpi mi khat hi a, thalawp takin ma a hong pan mah bangin nasep zia ding tawh kisai ngaihsutna ( idea) hoih tampi hong pia den hi. Tua hi a, Pu Dr. Vum Son Suantak in leitung si leh sa pumpi pan a hong nutsiat hangin Zomi leh Zogam khantohna ding a, a sepsa na te, a malakna te, leh a ngaihsutna te pen Zomi namte in mangngilh ngeilo ding hi. Tua mah bangin ko, Zomi Literature Institute (ZOLITE) in zong a ma hong nutsiatna hangin a laigui zom sanggam leh tanau te tawh kibangin ka dahna uh ka hong pulak khia uh hi. The sudden demise of our beloved Pu Vumson Suantak, a Chin nationalist and a patriot, has saddened all of Chin Youth Organization members in the United States. He was one among the first Chin settlers in the U.S.A. Like our faithful Chin ancestors he built houses by himself around Washington D.C. To any Chin who came to the States, Pu Vum Son gave food, shelters and made everybody feeling home in this new country. Because of his hospitality to new comers to the U.S.A. almost all Chin people owe him much more than we can ever repay. Now he passed away from us. But his heart of love to the Chin people will always remain in our heart. Very recently, he came to Indianapolis to watch the games played during Second Chin Youth Organization's Sport Festival held in Indianapolis, USA. His presence during this festival with us will be a sweet memory for every Chin young people. Even though he is not with us anymore, we will miss him in every occasion and every event of Chin Youth activities in the coming years. May God give him a peaceful rest. JHB is saddened by the sudden of death of Dr, Vamson Suantak, our fellow human rights advocate and activist, the outstanding leader of Chin nationals, campaigner and strong advocate who fought for the rights of Chin people at international and regional levels. On behalf of Justice for Human Rights in Burma (JHB), we would like to give our deepest condolence to his family, relatives and our brothers and sisters of Chin Community. May Dr.Vumson Suantak rest in peace. We were deeply saddened and filled with dismay when we heard the news that our national hero, Dr. Vum Son Suantak had passed away at Laurel Hospital in Maryland, United States on September 19, 2005. His sudden and untimely demise has created not only a deep vacuum in the Chin Democratic movement, it has also imparted irreparable loss to the global Chin communities as a whole. Selected by the Burmese government to be the first scholar from Chin State, Dr. Vum Son Suantak had excelled in his academic pursuits locally and abroad earning the most prestigious and highest academic status as a PhD holder in Natural Science. He was never afraid to challenge the whites academically. Not only that his was a man of wisdom and prudence and his wise decision-making capability had led him to where he was until he drew his last breath. He shortly returned to his motherland in order to be reunited with his family, relatives and people as a whole after his long years in foreign land to attain the highest academic position of doctor of philosophy. His dream to earn a living in Burma as a geologist short-lived as the Burmese government failed to meet what he deserved and what he was entitled to. He was later determined to pursue Chin National cause, pro-democratic activities, advocate human rights and minority rights from the United State, which is a home to him until his premature departure. We salute our hero, Dr. Vum Son Suantak for his tireless reunification effort to bring together all factions of Zomi (Chin) ethnic minority groups, who have been scattered all over Burma, India, Bangladesh under a single national identity. In addition, he had demonstrated outstanding courage and commitment as a Chin (Zo) revolutionary, an extraordinary understanding and leadership skills in building various parties or organizations and in drafting constitution for the future Chinland. As a freedom fighter and peacemaker, Dr. Vum Son had won the hearts the Chin (Zo) people around the globe. For the last time, I on behalf of Chin National League for Solidarity (CNLS), Malaysia would like to extend my deepest condolence and profound sorrow over the passing away of the most respected and fabulous leader Dr. Vum Son Suantak. His name for his immeasurable contribution to the development of the Chin Community will always remain alive in the hearts of the Chin people and be dearly remembered by all. We pray for the repose of his departed soul and pay our last tribute to the late Dr. Vumson Suantak. in South-Asia. As author of Zo History and Co-convener of the Zo Re-unification Organization, he strove for unity and common brotherhood amongst the Zo people. Thought he may have passed from our midst, the light that he had lit into the hearts of the people will continue to shine among those he had left. The Political Affairs Committee of Chinland is shocked to hear the sudden and untimely death of our respected leader and adviser of the PACC, Dr. Vum Son. Dr. Vum Son worked so hard for the unification of Zomi/Laimi/Kuki (Chin), with whose advice and personal participation in the Chin Consensus Building at Camp Victoria, despite all the hurdles and hardships, possibly enable the formation of Political Affairs Committee of Chinland. All his singular efforts for the unity of the nation will be remembered in history. I, on behalf of the PACC, convey condolence to the bereaved family and to the nation for this great loss. May the God Lord comfort his dear and near ones and the whole nation. POLITICAL AFFAIRS COMMITTEE OF CHINLAND. A famous British writer and philosopher C.S. Lewis once said, “It is hard to have patience with people who say “There is no death” or “Death doesn’t matter.” There is death. And whatever is matters. And whatever happens has consequences, and it and they are irrevocable and irreversible (A Grief Observed: 1, 1961). The most unexpected news has come to the Zomi today when we heard about the demise of Dr. Vum Son. The Bible says, “There is a time for everything under heaven—a time to give birth and a time to die” (Eccl. 3:2). Pu Vum Son, unfortunately, the time has, indeed, come to you in such a time as this when we want to say, “No, to your departure,” but none of us has the power to do so. Your sudden departure from this world has greatly shocked and grieved us the Zomi all over the world along with your beloved family who dearly love you and miss you. Words are few to express how much we appreciate and honor you for what you had done for your people, especially the Zomi. You are a dreamer, a visionary, a pioneer, a scholar, a patriot and a lover of the Zomi. Even though your body will be gone and buried, you will always be remembered in our heart and mind as one who loved, cared, and guided the Zomi with all your heart and strength and might. Though you will no longer be with us in this fleeting world, your legacy will stand and continue to live with the Zomi until the end of the world. Our dear Pu Vum Son, your exhaustive work on the Zo History will forever stand as a monumental reminder of your love and patriotism for the Zomi. We hope and pray that your dreams, visions and hopes for the Zomi will eventually be fulfilled someday in the future. We love you, we honor you and we will miss you greatly. The Florida Zomi Innkuan (USA) is extremely grieved and saddened on the untimely departure of Pu Dr. Vum Son Suantak (68) along with the bereaved family and love ones. We send out this condolence statement on this Thursday, September 22, 2005 to the Memorial Service made in his name in order to give our last honor and respect to him. Pu Vum Son was the scholar who was an advocate and promoter of the Zomi Nomenclature. He was a man of genius who lived the most simple life and who always gave a hand indiscriminately to whomsoever that came to him. He also envisioned the best Zomi sufficiency with our own safeguard right on the land of Zogam. Thus we love him and we admire him. The legacy Pu Vum Son left behind will remain noble as a symbol of our all struggle for freedom, peace and right. The legacy he left behind will always remain as a guiding star and a strengthening inspiration to the generations that follow him. Pu Vum Son was survived by the Zomi Innkuan community organizations in USA where he was much involved. We have lost one of our founding fathers but when there comes a time that achieved his visions he will be remembered as our patriotic patron and now he was our hero and we salute him hereby. Pu Dr. Vum Son Suantak (68) was born as a Zomi, lived as a Zomi and died as a Zomi. God bless the people of Zomi and Zogam which Pu Vumson loved so much. To all Zo people, and in many ways, Dr. Vumson Suantak made a good fight for our Zo land. Through the memories we treasure and the more patriotic influences we may not even recognize, we are a part of his legacy. We can never be separated from him because we have memories to hold and love that doesn't pass away. Yet the battle is not over but now his vision is upon our shoulders. Be mourn, be courageous, but be marching on till we reach our goal. And, in time, we realize that Dr. Vumson Suantak lives on within our hearts. On behalf of all the Chins residing in Germany we, the Chin Community (Germany), would like to solemnly express our deepest condolences to all the immediate family and relatives of Pu Dr. Vumson Suantak, who passed away on the 19th. September in Maryland, USA. The news of his untimely dismise triggered a shock wave in our hearts especially when we remember all his endevours and sacrifices for our people while he was living in the exiles and moreover when we realize and contemplate on the fact that his life as a lonely political exile started here in Germany four decades before we came to this country. Pu Dr. Vumson received Doctor of Natural Science from Bergacademie in Freiberg, Germany in 1965 and later migrated with his family to the USA. He was the author of “Zo History”, which was widely read among the Chin/Zo people in India, Burma and Bangladesh and history scholars from other parts of the world. Throughout his life time he relentlessly promoted the unity of all Zo / Chin people and at the same time initiated and founded various Chin and Burma-related organizations to struggle for the restoration of democracy and freedom for Burma and the Chin people. He was highly respected and regarded by the Chin people as one of the fathers of Chin / Zo Nation. Pu Dr. Vumson was 68 and left his two daughters (Bianca and Liana) and their families in Germany by the time of his death. Members of the Chin Community (Germany) mourn together with his family for the lost of our beloved father. Pu Dr. Vumson, may your soul rest in peace. The Chin Community USA (DC Area) Inc. was deeply grieved at the sudden death of Pu Dr. Vumson Suantak, one of our patrons on the 19th of September 2005. The CCUSA were shocked as they were shock to learn his sudden demise on the 21st September night that it was the wish of his two daughters to held his funeral in cremation as it was not the Chin tradition. Many other relatives and friends around the world thus expressed their desire to bury him at a cemetery to mark a spot where his remain is laid according to the tradition. It was thus discussed and decided at Pu Vumson funeral service held at his younger brother Pu Ngocinthawng Suantak and his family's home on the 22nd night of September to discuss the matter with his two daughters. The two daughters who came from Germany on the 20th night of September were with their European husbands at their father's home in Washington DC area . Six elders of the Chin and Mizo community including two grand parents whom one of the daughters intimately has known met with the two daughters on September 23rd night at their father.s home. The elders were not successful to persuade in a long discussion to make as a second thaught to bury his remain at a cemetery and make the tomb at his grave so that relatives and friends who are unable to present at his funeral could visit and pay their loving tribute in the years to come. The Chin Community USA (DC area) have to accept. the wish of the immediate family in much deplorable as there is no other alternative.